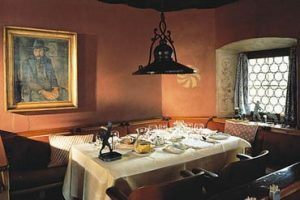 Klosters has some fabulous places to eat both on and off the piste. Up the mountain there are charming rustic restaurants on the side of the piste which are excellent for lunch or a coffee break. The Alte Schwendi is one of our favorites with its friendly hospitality and sunny terrace. 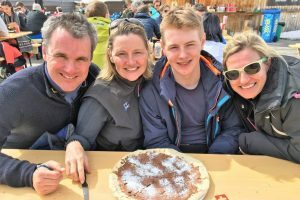 Erizaas which is renowned for its rotisserie chicken and ribs is also well worth stopping off at, while if you feel like a cheese fondue for lunch then the Ski Hutte would be delighted to oblige. For those who like pizza the P-T children swear that Hohnweg do the best in the resort. When it comes to restaurants with a view, the Weissfluh Gipfel is a must, while Ericas by the lake on the way down Madrisa is a particularly charming spot. 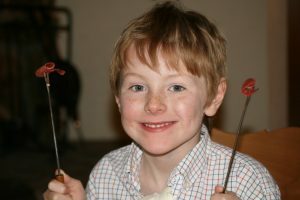 In the village there are award winning restaurants you can go to for dinner. The Alpina and Sonne are excellent while the Chesa Grischuna with its traditional wooden dining room is perfect for a romantic night out. The intimate and rustic Prattiger Huschi is an ideal place to go for a fondue. A few km away is the pretty village of Monbiel where it is lovely to take a horse and sleigh and have dinner at Hohwald while the Alpenroesli above Klosters affords excellent views of the village (and the more adventurous choose to sledge back down after dinner). In terms of Apres Ski, Gaudi’s at the bottom of ski run is always humming at the end of the day and is a perfect pit stop before heading back to your hotel or chalet. Kaffee Klatsch or Bär’s Bar are also nice places to go at the end of a good day’s skiing, or indeed later on in the evening. After dinner the piano bar at the Chesa is a classic and the Casa Antica nightclub is where everyone goes if they want to party on in to the small hours.